An athletic tall defender who has the ability to play one-on-one and negate his direct opponent. Grew in confidence playing for Vic Metro in 2018, reading the angles well with his intercept marking. 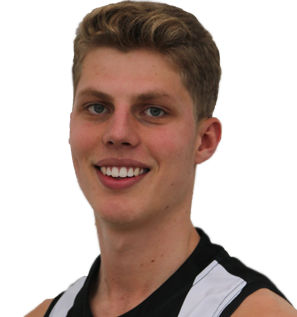 As the son of Collingwood premiership player Craig Kelly, he is eligible for the Magpies as a father-son selection.